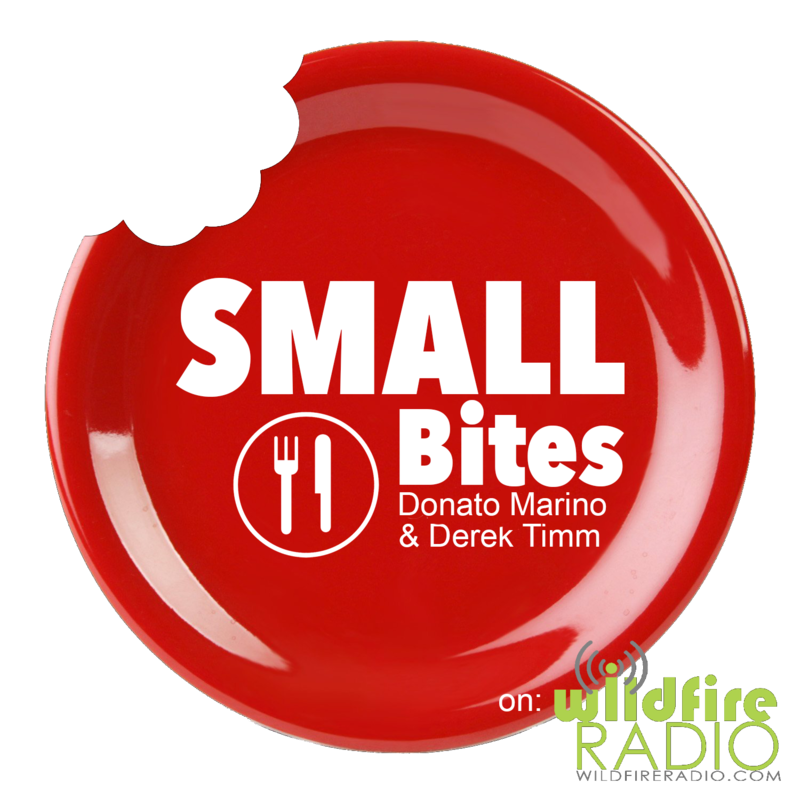 D and L Coffee Service Inc. presents the #1 listed “Food Radio show Philadelphia”, Small Bites with Donato Marino and Derek Timm of Bluejeanfood.com on Wildfire Radio this Sunday, March 10th at 635pm EST with a great lineup. HOT off her record breaking appearance on Chef Gordon Ramsay‘s Hell’s Kitchen Season 18, we are thrilled to welcome Chef Mia Castro. Chef Mia N. Castro‘s background with food and cooking roots go back to growing up in San Juan, Puerto Rico, Discover Puerto Rico helping her grandmother cook delicious meals everyday with ingredients they harvested themselves. Chef Mia then trained at The Culinary Institute of America and apprenticed for established Chefs including Wolfgang Puck, Thomas Keller, and José Andrés and is now a private chef in Visit Miami and New York, New York. Like many young women in the restaurant industry have experienced, Mia was often called “cocky” or “arrogant” for expressing confidence in her abilities. Only 28 years old at start of filming Hell’s Kitchen and a mere 5 feet tall, Chef Mia was frequently called “Munchkin” and dismissed as a serious threat by her competitors, but showing them all wrong, she won more challenges than any other competitor in Hell’s Kitchen history. Chef Mia has also appeared on Food NetworkChopped where she made it to the final round before barely being defeated by Executive Chef Royden Ellamar of Sensi restaurant at Bellagio Las Vegas Visit Las Vegas. We can’t wait! To celebrate National Cheesesteak DAY! on March 24th a partnership of famed Campo’s Philly Cheesesteaks and Philly’s own Hank’s Beverage Company Gourmet Root Beer and we will talk to Tony Salvatore who is Co-Founder, partner, and Chief Customer Officer for Genuine Hanks Beverages about this collaboration. Campo’s Deli and Hank’s Gourmet Beverages are making March a month-long party for cheesesteak lovers. They have joined forces, and their beloved culinary inventions, to create the first authentic Philly cheesesteak sandwich crafted with a sweet and spicy rub and marinade made with critically-acclaimed Hank’s Gourmet Root Beer and its secret Philadelphia formula called Hank’s RBM Cheesesteak. This limited-edition delectable will feature tender, thin-sliced ribeye steak grilled after an application of Hank’s Secret Root Beer Spice Rub, drawn from Hank’s own classic, 100-year-old Philadelphia recipe, and a 24-hour “float” in a special marinade made with Hank’s Gourmet Root Beer. This mouth-watering steak will be topped with a choice of the classic Cheese Whiz, or Swiss, American, Jalapeno Cheddar or Sharp Provolone Cheese and other toppings, including Grilled Onions, Mushrooms, Peppers hot and sweet, and many more. It’s all comes served up in a plain or seeded Italian roll, made fresh by local bakers. The special limited-edition cheesesteak sandwich will be available now the through the end of March at Campo’s landmark Old City location at 214 Market Street. Campo’s also operates outlets at Wells Fargo Center and Citizens Bank Park. Throughout the month, Campo’s will offer the tasty Hank’s RBM Cheesesteak, paired together with a bottle of Hank’s Root Beer (or one of their other delectable flavors, including Wishniak Black Cherry, Vanilla Cream, Birch Beer and Orange Cream) for a discounted package price of. $9.75 – a healthy $3.00 savings. Don’t live in or around Philadelphia? Don’t worry, Hank’s is widening its Cheesesteak Day celebration across the country with a nationwide poster campaign spotlighting this national holiday at other cheesesteak and specialty sandwich chains that carry its brands. Under the headline, “Two Brothers from the City of Brotherly Love,” the posters suggest consumers enjoy a cheesesteak and Hank’s Root Beer to mark March 24, National Cheesesteak Day. In Greater Philadelphia, this includes Dalessandro’s Steaks, Chubbys Steaks, Wit or Witout Cheesesteaks, Hoagie Xpress and The American Pub Philadelphia. Multi-location Cheesesteak chains participating across the nation include Big Tony’s West Philly Cheesesteaks of DeSoto in Texas, Connecticut’s Blue Cactus Grill, Philly Grill located throughout Florida and New England, as well as the growing Philly’s Best chain that’s spread across southern California, a true cheesesteak hotbed. Staying in Philadelphia, we are happy to be joined by Mike and Lisa Spinelli Lorenzo who are the owners of Lorenzo’s CAFE Espresso Ristorante Italiano who have been voted the #1 restaurant in Tacony, Pennsylvaniaarea and have also won an award from Yelp three years in a row for being a FIVE-STAR rating on the site. Lorenzo’s Cafe Espresso & Ristorante Italianoare a cozy BYOB family run business well known for having some of the best meatballs around the area along with traditional Italian dishes all made fresh on the spot. If you take a peek inside the kitchen, you will see that they serve only the freshest ingredients to their customers as they are one of the few establishments with no freezers or microwaves for the chef to use. That’s right – made fresh and made to order – every single time. To top it all off, Lisa is also a psychic medium that does readings to help people heal from grieving, does private readings, group readings, and they even have event nights at the restaurant where you can have dinner and then a reading. I would say we can’t wait, but Lisa already read my mind! You say you STILL NEED MORE!!! Don’t forget we still have our regular weekly segments from Courier-Post nightlife correspondent and The New York Times recognized for Blog Eating in SJ, John Howard-Fusco for his news of the week and please remember that John’s book “A Culinary History of Cape May: Salt Oysters, Beach Plums & Cabernet Franc” from Arcadia Publishing The History Press is available, Chef Barbie Marshall who is a Chef Gordon Ramsay Hell’s Kitchen Season 10 finalist, appeared on Season 17 of FOX Hell’s Kitchen #AllStars, as well named Pennsylvania’s most influential chef by Cooking Light will delight us with her tip of the week, and a joke of the week from legendary joke teller Jackie “The Joke Man” Martlingof The Howard Stern Show fame and his autobiography “The Joke Man: Bow to Stern” from Post Hill Press is available for purchase on Amazon.com.D & L Coffee Services Inc. and Bluejeanfood.com hope you will use the TuneIn app to listen worldwide or also catch Small Bites Radio syndicated on KGTK 920AM, KITZ 1400AM, KSBN 1230AM, KBNP 1410AM, Salem Radio Network, ScyNet Radio, Stitcher Radio, PodOmatic, Indie Philly Radio, Player FM, iTunes, and TryThisDish Radio which is the only independently owned and operated international chef-driven foodie and lifestyle radio network in the world. Also a special joke from Derek Timm Jr.
Posted in Small Bites Radio and tagged best coffee in tacony, best esspresso in tacony, big tony's west philly cheesesteaks, campos deli hanks root beer cheesesteak, chef mia castro, food blog philadelphia, food critic philadelphia, Food podcast Philadelphia, food radio show philadelphia, foodie show philadelphia, hanks root beer dry rub, hells kitchen season 18 runner up, lisa lorenzo, lisa lorenzo psychic, lorenzo cafe ristorante italiano, mike lorenzo, national cheesesteak day, private chef mia castro, rbm cheesesteak, tony salvatore CCO hanks soda. Bookmark the permalink. If you’re looking for a taste from over the pond, then you may enjoy a visit to The British Chip Shop in Haddonfield, New Jersey. Simple decor and your English favorites on the menu. Pictured is a take-out order of their large fish and chips. Posted in Restaurants and tagged best podcast in philadelphia, fish and chips in south jersey, food blog philadelphia, Food podcast Philadelphia, food radio show philadelphia, The British Chip Shop - Haddonfield. Bookmark the permalink. I remember the Lobster Trap being here and it was not in good shape. What a difference a few years can make. On the waterfront LaScala’s Birra is a gorgeous eatery that really enhances the dining experience on the Cooper River. We had just the basic margherita pizza here and really enjoyed it. Cooked perfectly with fresh ingredients while also the service was top notch. Will definitely come back to try some more items whenever in the area again. Posted in Restaurants and tagged camden county golf academy, cooper river, cooper river golf, food blog philadelphia, Food podcast Philadelphia, food radio show philadelphia, LaScala's Birra, margherita pizza, pennsauken pizza, where to eat on the cooper river. Bookmark the permalink. This place is quiet an experience with delicious food, impeccable service, and really nice ambiance. Below is an an amazing meal I enjoyed there. I had miso soup, pan fried pork dumplings, grilled bbq squid, crispy spring roll, G-W ROLL Lobster tempura with apple, mango inside, all tuna on top, SWEET HEART ROLL with Spicy sweet shrimp inside with crunch, white fish tempura and mango wrapped with soy paper, chicken teriyaki, SCOTT ROLL with Eel avocado inside,searl white tuna and seared scallop on top, unagi sushi, king crab sushi, maguro sushi, and MOCHI pounded sticky rice with vanilla ice cream filling. Posted in Restaurants and tagged best sushi south jersey, food blog philadelphia, Food podcast Philadelphia, food radio show philadelphia, sake bar south jersey, Umi Sushi Japanese Restaurant and Sake Bar - Somerdale. Bookmark the permalink. D & L Coffee Services presents the #1 listed “Food Radio show Philadelphia”, Small Bites with Donato Marino and Derek Timm of Bluejeanfood.com on Wildfire Radio this Sunday, February 24th at 635pm with a great lineup. We are thrilled to welcome Anthony Torcivia Director from Cantina Los Caballitos as they are put of the 7th annual Restaurant Week! Between Monday, February 25 and Friday, March 8, 2019 to feast on a 3-course prix fixe lunch and/or dinner at more than two dozen of our award-winning restaurants for either $15, $25 or $35. From BYOBs to James Beard Foundation nominees, experience a diversity of dining styles on one of the “Top Ten Foodie Streets in America.” Special menus cover everything from intimate upscale dining to your favorite pub food, and represent a variety of ethnic flavors, from French and Filipino to Northern European and Italian. East Passyunk Avenue Restaurant Week is your perfect excuse to try something new, return to a favorite, or do both during East Passyunk Restaurant Week 2019 with Cantina Los Caballitos one of the places available. Then we will chat with Executive Chef Justin Womack of Del Frisco’s Grille at 225 S. Broad Street in downtown Center City on The Avenue of the Arts only steps away from Philadelphia’s Walnut Street Theatre, The Kimmel Center for the Performing Arts, The Wilma Theater and more; Del Frisco’s Grille is the perfect stop for a pre-show cocktail or post-show dinner. The Grille features Del Frisco’s Double Eagle Steakhouse signature prime, hand cut steaks and takes the classic bar & grill menu to new heights, drawing inspiration from bold flavors and market-fresh ingredients and offering a diverse menu of shareable small plates along with other more approachable classic American fare. On Friday, February 22nd at 4pm the 2nd Annual Outside-Inside BBQ at Angel Merrill Merrill’s Colonial Inn featuring Pork Island BBQ occurred, and this Sunday we are happy to have joining us the pitmaster of the event Jim House to talk all things BBQ. He recently competed in the Cape May Chili & Chowder Cookoff at The Grand Hotel of Cape May, will be at the Parade Day BBQ Party at Showboat Hotel Atlantic City on March 9th, Jersey Shore Rugby Club on May 4th, multiple events at Garden State Beer Company throughout the year, and has been named #1 for Best Catering, Best Food Truck, and Best BBQ by The Press of Atlantic City. Last, but certainly not least we welcome THE MAN, THE MYTH, THE LEGEND of making amazing and unique BBQ Egg Rolls and many other great BBQ delicacies Tim Monk the pitmaster of Monkman’s BBQ out of Gloucester City, New Jersey trying to make Gloucester Great and the home of St. Mary’s Gloucester City Irish Events where Saint Patrick Day is celebrated bigger than anywhere else when you Visit South Jersey. You say you STILL NEED MORE!!! Don’t forget we still have our regular weekly segments from Courier-Post nightlife correspondent and The New York Times recognized for Blog Eating in SJ, John Howard-Fusco for his news of the week and please remember that John’s book “A Culinary History of Cape May: Salt Oysters, Beach Plums & Cabernet Franc” from Arcadia Publishing The History Press is available, Chef Barbie Marshall who is a Chef Gordon Ramsay Hell’s Kitchen Season 10 finalist, appeared on Season 17 of FOX Hell’s Kitchen #AllStars, as well named Pennsylvania’s most influential chef by Cooking Light will delight us with her tip of the week, and a joke of the week from legendary joke teller Jackie “The Joke Man” Martlingof The Howard Stern Show fame and his autobiography “The Joke Man: Bow to Stern” from Post Hill Press is available for purchase on Amazon.com.D & L Coffee Services Inc. and Bluejeanfood.com hope you will use the TuneIn app to listen worldwide or also catch Small Bites Radio syndicated on KGTK 920AM, KITZ 1400AM, KSBN 1230AM, KBNP 1410AM, Salem Radio Network, ScyNet Radio, Stitcher Radio, PodOmatic, Indie Philly Radio, Player FM, iTunes, and TryThisDish Radio which is the only independently owned and operated international chef-driven foodie and lifestyle radio network in the world. Posted in Small Bites Radio and tagged anthony torcivia, best restaurant week in philly, cantina dos segundos, Cantina los Caballitos, cape may chili and chowder cookoff, chef justin womack, del frisco grille philly, east passyunk restaurant week 2019, food blog philadelphia, food critic philadelphia, Food podcast Philadelphia, food radio show philadelphia, Foodie Radio Philadelphia, garden state beer compnay, jim house pitmaster, jim house pork island bbq, parade day bbq party, pork island bbq, royal tavern, tim monk, tim monk monkman bbq, tim monk pitmaster, triangle tavern, where to eat for easy passyunk restaurant week. Bookmark the permalink. You are wondering about Hearthside, but you can’t ever land a reservation even though you check dates for a possible reservation three months in advance. They have received quite the press and accolades from being named one of the top 50 restaurants in Bon Appetite, rave reviews from Philadelphia Inquirer, Philadelphia Magazine, other local media and blogs singing their praises, and also being known as a hot destination to see many Philadelphia Eagles players dining there regularly. Posted in Restaurants and tagged 40oz dry aged porterhouse steak, bon appetite best restaurant, craig laban best restaurant in south jersey, food blog philadelphia, food critic philadelphia, Food podcast Philadelphia, food radio show philadelphia, hearthside collingswood, philadelphia magazine best restaurant, where to eat in collingswood, where to eat in south jersey. Bookmark the permalink.